For clergywomen, the threefold cord is a braid of resources that stretch our minds, support our hearts can trust, and community based on strong and lasting connection to others who understand. We hold fast to that threefold cord as we follow God's call on our lives. Where do you go to unpack a ministry situation that could benefit from a collegial conversation? How will you find that perfect poem or hymn you cannot quite remember? What resources will give you a contemporary women's view on scripture, and the opportunity to have a conversation with the author? When have you found continuing education for clergywomen seeking both challenge and camaraderie? Who receives your prayer requests with attention and love, offering heartfelt words of concern and care? RevGalBlogPals strives to encourage all this and more, with annual continuing education programs, a network of Facebook groups, our Weekly e-Reader, and thoughtful content at our website that includes daily prayers from women who might be serving anywhere in the world from Earlston, Scotland, to Auckland, New Zealand to Big Timber, Montana to Chicago, Illinois to Marblehead, Massachusetts. Our digital connection binds us, even to the friends we may never meet in person. Our ministry is funded by your tax-deductible* donations, whether given monthly, annually, once in a lifetime, or every now and then. We make the most of our modest budget, which includes a 1/4 time stipend for our Executive Director, as well as funds for her professional development, and administrative expenses that include video-conferencing, office supplies, and maintaining our web presence. The balance is used to underwrite our continuing education events and fund scholarships. 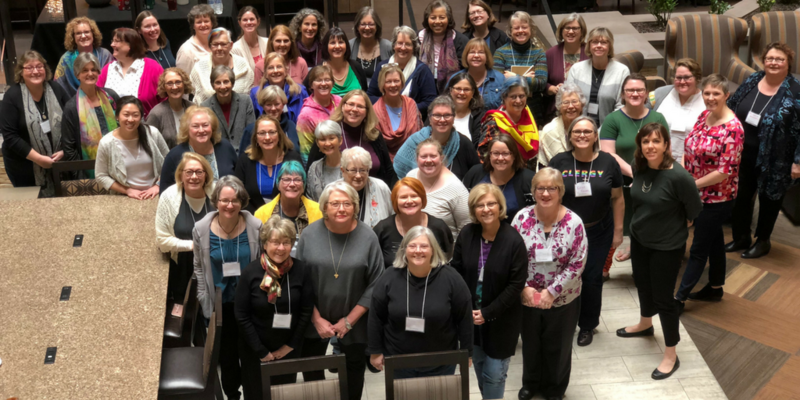 Your gifts to RevGalBlogPals will encourage strong and lasting connection for clergywomen serving God from dozens of denominations, across a range of generations, life situations, and ministry settings. RevGalBlogPals is committed to the work of anti-racism, and open to and affirming of LGBTQIA+ people. We are grateful for your support. RevGals are my community and have been ever since I began ministry. Much appreciation for all the ideas, support, prayers and ministry of all who are connected to RevGalBlogPals! I find this site a caring and safe community that nurtues my soul and enriched my service as a pastoral leader. Thank you. RGBP taught me to blog, helped me work through tough sermons, and prayed me through hard times. May my gift help the work of caring and sharing. RevGals created friends, nurtures support and all too often, saves my sanity. I am thankful! I love this organization and the support it provides for women in ministry. 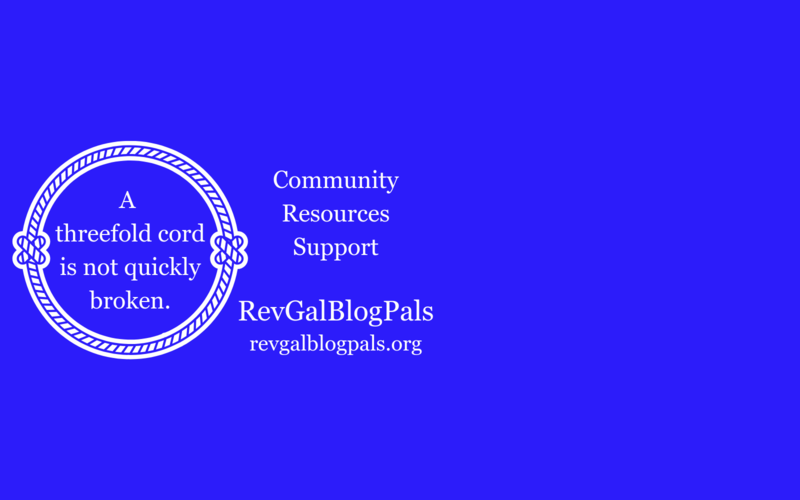 I give to support the three-fold cord that is RevGalBlogPals!